The most important thing to consider when choosing a cloud storage service is convenience. If you are fully tied into Google, Apple, or Microsoft ecosystems, the accompanying cloud storage service will undoubtedly be the best option for you. Outside of that, you have a few other considerations to balance such as price, features, and usability. Based on those areas of difference, here are the best cloud storage options you can choose can use. Carbonite is the best outlet for unlimited storage space — perfect for anyone who has thousands of high-resolution photos, or large collections of movies or other media. This cloud-based service automatically uploads all the files you want (under 4GB — anything bigger must be uploaded manually) to the cloud from a variety of devices. Automatic backups will keep your recent photos and files secure. In terms of platform support, Carbonite has clients for Windows and MacOS, and apps for Android and iOS. The file storage offers several data storage plans that vary in price. The basic storage plan costs $72 a year and provides full backup for a single computer. Carbonite also offers advanced services, like localized backup, but those plans cost more. The reason for Dropbox’s success are simple. The service is full-featured and easy to use. Even though a number of services offer more initial free space — Google Drive, Mega, iCloud, and others outweigh Dropbox’s 2GB — many customers seem to find Dropbox’s referral rewards system irresistible (up to 16GB free space total). Plus accounts start at $8.25/month on annual subscriptions (or $9.99/month when billed monthly) for 1TB, and DropBox also offers professional plans with more features for more money. Mobile support includes Android, iPhone, iPad, Windows 10 Mobile, and Kindle Fire. Dropbox boasts excellent sharing abilities. Invite someone to share a particular Dropbox folder with you and that folder will appear right on their desktop. You can also send a link to an individual document or image. In addition, folders full of images can be viewed as a gallery, making Dropbox a viable photo-sharing alternative to Imgur and Flickr. Google Drive is great for anyone who prefers Google’s ecosystem. The web giant thrives on integration with Google’s other services, like Gmail and Google Docs. In fact, Google recently re-branded some of its services, and now Google Drive actually integrates Google Docs, Sheets, and Slides. For the low, low price of absolutely nothing, you’ll get 15GB of Google Drive space for files, Gmail, and Google Photos. Upgrades cost $2/month for 100GB, $10/month for 1TB, and $100/month for 10TB. Mobile support includes iPhone, iPad, and Android. Signing up is as simple as logging in with a Gmail address and password. From there, Google Drive appears right in your Google toolbar, just a click away from your email inbox. You can drag-and-drop files straight into your browser, or download the desktop client to have access to Google Drive as a folder, just like with Dropbox. Google Drive’s standout features are its sharing and collaboration tools. Thanks to integration with Gmail and other Google services, you can share files with a click, with or without requiring a password. When you work with partners on the same word file, spreadsheet, or presentation, either separately or right at the same time, Google Drive marks the contributions of each person with different colored labels to make clear what has changed. 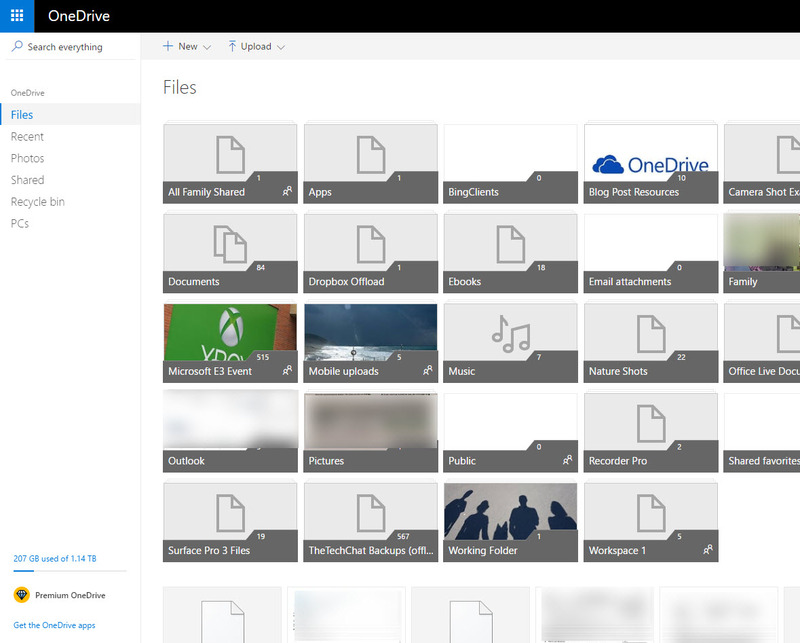 OneDrive has undergone some significant updates over the last few years, and now serves as a strong foundation for Microsoft’s overall productivity solutions. It’s not so much that Microsoft OneDrive does one thing better than other cloud storage systems (other than being one of the few services to support Windows phones and Xbox). Instead, Microsoft’s cloud service delivers a well-rounded package. If you don’t have a pressing reason to choose another service, then it’s hard to go wrong with OneDrive. Furthermore, if you’ve bought into Microsoft’s Windows 10 ecosystem, then OneDrive is the best solution for you. It touts a decent amount of free space (5GB), along with inexpensive upgrades and the ability to get 1TB of storage with an Office 365 subscription. Microsoft’s cross-platform strategy means that mobile support is very strong, including Windows phones, Android, iPhone, and iPad. You can also post photos directly from OneDrive to Facebook, LinkedIn, Twitter, and other social-networking sites, which is a nice, time-saving touch. The service also offers built-in remote access capabilities. From the OneDrive.com website, you can get access to any PC associated with your account that has the OneDrive client installed, even files not already uploaded to OneDrive. OneDrive is one of the only services to integrate with free Office Web Apps, allowing you to work collaboratively on projects, much like in Google Docs. However, the Office Web Apps have the advantage of opening Word, PowerPoint, and Excel documents seamlessly, avoiding any formatting kerfuffles. OneDrive maintains the 25 most recent versions of every file, so if a partner makes a change you don’t like, you can easily revert to an earlier version. Apple’s cloud storage service doesn’t make waves on paper, but it’s great if you use iTunes as your central media hub. iCloud provides 5GB of free storage, while upgrading to 50 GB will cost $1/month, 200GB for $3/month, and 2TB for $10/month. Items downloaded from iTunes won’t count against your storage limit, but note that iOS devices use iCloud for backup, and that alone can quickly use up storage allotments. 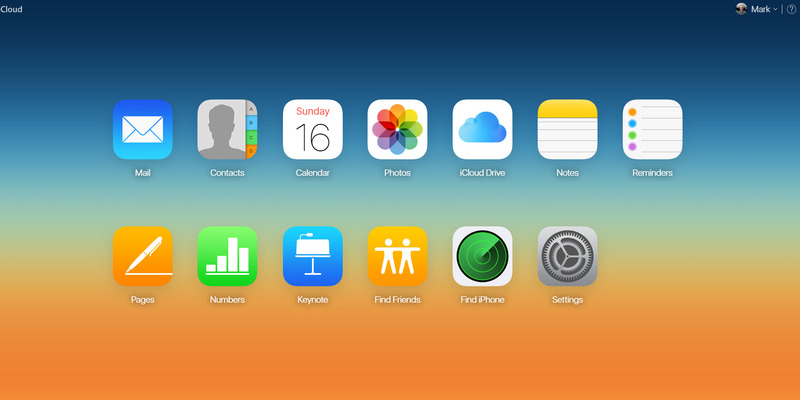 iCloud also acts as a media sharing hub that works closely with Apple’s cloud-based productivity suite, iWork. It includes a word processor, among other things that can be shared with other iCloud users, all with an interface that looks a bit cleaner and more modular than Google Docs. Still, Apple can’t compete with Google’s price point or the universality of Google accounts. Box is an all-around solid service that offers a compelling alternative to users who are wary of placing ever-increasing amounts of information in the control of Google, Apple, or Microsoft. Mobile support for all accounts includes Android, iPhone, and iPad. Free accounts start at 10GB, and a Starter accounts provide 100GB of storage for $5/month. There are also business plans that offer more storage and capabilities, such as version history, password-protected sharing, and search abilities. All accounts, even free ones, allow you to share files or folders with a link. Box also integrates the ability to add comments and assign tasks for easy collaboration and workflow management.